Perhaps the biggest difference between coming out of school a decade ago like me and coming out now, however, is the issue with refinancing. My classmates refinanced their student loans at rates as low as 0.9% after graduation in 2003. That’s about as close to free money as you’ll ever get. Now, if you want to refinance your government loans, they simply take an average of all your loan rates. It’s nice to consolidate I suppose, but it doesn’t save you any interest….until now. There are currently two options available (and hopefully many more to come) where students can actually refinance their student loans at a lower interest rate. The first of these is a company called Social Finance (SoFi). I think this is a great option for a borrower. You get lower rates than you get from the government. 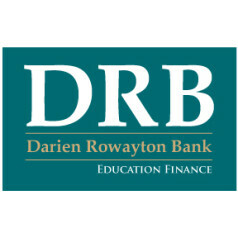 I was approached recently by another option, the Darien Rowayton Bank (DRB), who sponsored last month’s newsletter (although I received no compensation for mentioning them in this post–feel free to call them and tell them to buy a banner ad on the site). 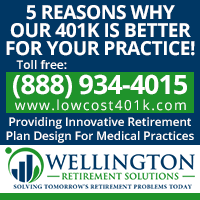 [Update: DRB has now purchased a banner ad that’ll run during November.] They’ll refinance your loans from any institution. These two companies have also been in a bit of a rate war as of late, and DRB has fixed rates of 4.75-5.75% and variable rates currently set at 2.76-3.01%. That looks awfully attractive compared to the 7.9% the government is giving you. As of this posting, DRB’s rates are at least 0.25% less than what you can get from SOFI (assuming you went to an institution where your loans quality with SOFI). DRB also likes to point out that they have a single rate for each term (5-15 years) whereas you have to go through the SOFI application process before you can actually find out your exact rate. The biggest benefit of using DRB over SOFI (aside from the lower rate) is that you didn’t have to attend a SOFI-approved institution. Remember that when you refinance your loans, they are no longer eligible for the IBR or the PSLF program, and that like other student loans, SoFi and DRB loans don’t go away in bankruptcy. You also probably don’t want to refinance subsidized loans from undergraduate, if you have any, since that subsidization will go away. Since undergraduate loans are generally at a much lower rate anyway, that’s not really an issue. My favorite student loan refinancing option involves a mortgage. 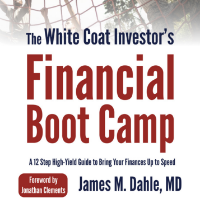 If you can somehow turn a high-interest, non-dischargeable in bankruptcy, non-deductible (for most docs) student loan into a low-interest, dischargeable, deductible mortgage or home equity loan, that’s a great deal. Unfortunately, those who have big fat student loans don’t generally have any home equity, and by the time you get some, the student loan situation isn’t so bad. I hope to see more competition in this financial marketplace, but it’s possible that both of these companies will just go away. Neither of them is exactly a household name. You might want to jump on one of these options before it’s too late. It isn’t like you can’t refinance again later. What do you think? 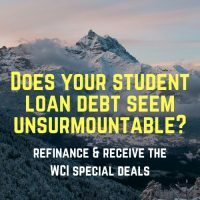 Have you refinanced your student loans? How? Did you use SoFi or DRB? Are you happy with it? Comment below! 10/27/16 Update: Clearly neither of these companies went away and many more have joined the refinance business. 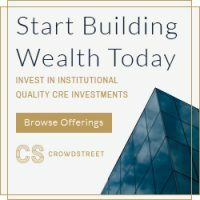 If you do decide to refinance some or all of your loans, I would appreciate it if you would use the links on the site. 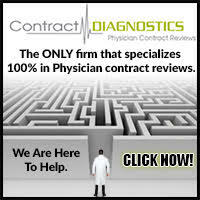 It is a significant source of revenue for us and I have negotiated a special deal with many of the companies for you that you cannot get by going to them directly. And yes, you can refinance multiple times at increasingly better rates as your financial situation improves. There is no “break-even period” since there is no cost to you to refinance. With DRB, what are your thoughts on the variable versus fixed interest rates? Please correct me if I’m wrong: I make a regular 2k-3k overpayment monthly on my loan (I’ve got approx 70k left). So, I dont really care the duration of the refinance as I plan to have it paid off in the next 2-3 years correct? I’d do the variable rate and pay it off ASAP. You’ll be done in a couple of years it sounds like. 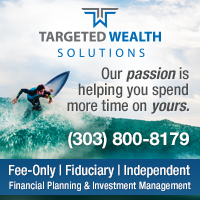 Even if interest rates rise dramatically it won’t hurt you much. If you are going to pay off the balance of your loans that quickly, the variable rate probably makes the most sense. Does anyone know if your parents have their house paid off, if they could do the mortgage option for you? Would that be safe? My parents are in between on taking 200k investment at any interest rate, but I’m only 2 years from finishing residency. Man, it seems like I’m one of the few people in my med school class that doesn’t have their parents paying for their education. Just from interest alone, by the time I finish residency I’ll be about 450k in the hole. It’s ridiculous. What are your living expenses like? College: 10,000+15,000 living expenses=100,000 after 4 years. Med school: 35,000+15,000 living expenses=200,000 after 4 years. …did you pay for all of your college expenses? 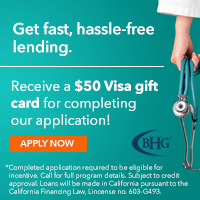 You can pay back loans during residency and live for less than 15,000 without hardship. I live on 10,000 a year but most don’t live as frugally as I do, I recognize. Man, I am bummed for you but happy to hear I am not the only one in this boat. Do you have a referral link for sofi? Would like to hook you up. Your site is fantastic, thanks so much! Also, how risky do you think a 10 year variable rate would be? I like that SoFi caps just below 9% max. I can afford that should it happen but DRB’s 18% is too risky for me. Make sure when you compare DRB to SoFi, you look at the actual rate SoFi offers you and not just the cap. Even if SoFi’s cap is lower, their rate is probably going to be much higher than DRB, making it less less attractive than the DRB rate. Note that DRB’s rates are the actual rates offered, as opposed to SoFi’s which are a range of rates, so it is quite possible that the actual SoFi rate will be much higher than what DRB is offering. It also might be worth comparing the floating rate SoFi offers to DRB’s fixed rate. At SoFi, we’ve written a lot about how to decide between a variable or fixed rate loan, regardless of who you’re borrowing from. 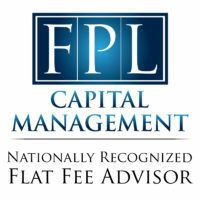 Whether you’re trying to decide which is right for you http://bit.ly/16cDxmW or assessing whether a variable loan will result in greater savings http://bit.ly/1b79Mrv we’ve done the analysis so you can make the decision that’s best for you. No, I don’t have any financial relationship with SoFi. Good idea though. I’ll contact them to discuss it. See my comment below about variable rate loans. What are the risks of doing this? I consolidated all of my dental school debt through the government so now I have $400,000 of debt at a fixed 7.5% interest. It seems like a no brainer to go over to SoFi for a 4.99% rate. Whats the catch? There has to be some hidden risk involved…. I hear you there. This seems too good to be true. The catch is that almost nobody actually qualifies for the lowest rates. My husband is a Ph.D engineer making 115K with 65K in federal loans and a credit score 780-800. We have no other debt. 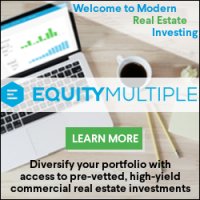 We would like to be able to afford the downpayment on a house before we are 80 and would like to avoid paying an extra $30K in interest over 10 years on the federal loan standard repayment plan. (Unfortunately, tech industry jobs are almost exclusively located in areas with very high housing costs). I called SoFi, and they said he would most likely qualify for their “typical” fixed rate loan; that is, the one with a 6.4% interest rate. They said that the only people who qualify for the lower rates are those who have been employed at their present job at least five years. 6.4% still isn’t that great of a rate. We’ll apply with DRB and try to get their 5.25% fixed interest rate loan first. Yes, the “teaser rates” are annoying, aren’t they. It’s so depressing seeing people trying to refinance knowing that those who graduated with me in 2003 have their loans refinanced at 0.9-1.9% fixed. Those guys aren’t rushing to pay that back very quickly. You lose some of the protections found in federal loans (e.g., IBR). Also, there are some credit/income requirements that you will need to pass for both DRB and SoFi. Otherwise, it is a great deal. DRB’s rate are even better than SoFi’s, though, so check them out. I don’t think it’s too good to be true. I can’t understand why no one jumped on this earlier. There’s a lot of distance between what a bank can borrow money at (mine pays me less than 1%) and what your non-dischargeable in bankrupty student loans are at. The only catch as mentioned is you lose access to IBR/PSLF. 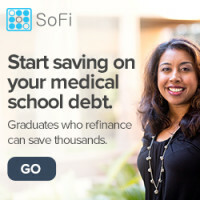 DRB only does these loans for professionals and SOFI only does these loans if you attend a qualifying institution. Do you happen to know the income requirements for DBR? It depends on the size of the loan and your other outstanding liabilities (ie mortgage). The best thing to do is call/email the bank to discuss your personal situation. On DRB’s website, it says that you can do a hybrid approach and do partial variable and partial fixed. Does anyone know about this? My situation: I’m looking at $275k in student loan debt. Would it be unwise to do a variable rate 10 year plan? The rate could potentially cap at 18% (ridiculously high), but the LIBOR hasn’t gotten above 1% in the last 5 years, and hasn’t risen above 6% in the last 20+ years. DRB will let you split that into 2 separate loans, one fixed and one floating, using the amounts you choose. They do this for people in your position with larger loans who want to take advantage of the low floating rates, but want to limit their exposure to rising rates. 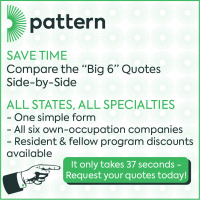 Call them or email them and they will walk you through how to do this. There’s obviously a risk any time you use a variable loan. You’re running the interest rate risk rather than bank. That doesn’t mean it’s not a good idea though. As long as you can afford the possibly higher payments you are likely to come out ahead in the end. I have a well-to-do friend with a variable mortgage where the rate changes every month. It’s been 1% for the last couple of years. That’s pretty nice. It might not be clear from his comments, but readers should be aware that AA works for DRB so I’d consider his comments authoritative since he works in the field, but obviously biased toward his own company. I don’t mean to out him (especially since DRB has supported this site through the purchase of advertisements), but I consider full disclosure of financial conflicts of interest on this blog very important in maintaining the trust of readers. If I had student loans I would be refinancing them through one of these two companies as soon as possible. I hope even more competitors enter this niche area, further driving down student loan rates. I’m planning to refinance my loans with DRB. (I don’t work for them.) If anyone has a referral link, please post it as I’d like to give someone a referral bonus. No referral program with DRB but I do appreciate your support of those who support this website. I’m working on a referral/affiliate program with SoFi. I emailed DRB about a concern that I had, and turns out it is valid. With a federal student loan, if you pass away unexpectedly then your debt is forgiven. However, with a loan from DRB if you pass away the debt is assessed to your estate and your spouse gets stuck with the debt. I don’t plan on dying any time soon, but there is no way my wife could ever pay off my $400k of dental school debt if I passed unexpectedly. As much as I would love to refinance and a get a lower rate, for that reason I don’t think I can do it unless they come up with a solution. I have not emailed SoFi yet, but I am sure it is the same with them too. Thank you for that comment. I hadn’t thought to ask that question. You definitely have to weigh the interest savings against that risk. Keep in mind that with a big loan like that you might be able to buy an extra $400K 5-10 year life insurance policy with the interest savings and STILL come out ahead with refinancing. For example, if your average loan is 7.5% on $400K, and you can refinance at 5.5%, then that’s $8K per year in interest savings. A $400K 10 year level premium term insurance policy for a healthy 30 year old male is only $133 per year. Agreed on using term insurance to cover your estate in the case of death. 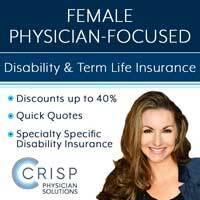 Regarding covering yourself in the case of disability, you can do something similar with disability insurance. 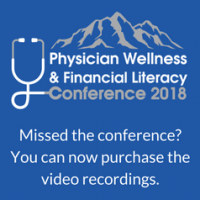 In fact, some disability insurance providers offer an add-on specifically for paying down student loans in the event you become disabled and can no longer work in your field. The costs for this is also small relative to the savings from a lower rate on your student loans. Thanks you for the responses! I already have a great disability policy. I will just need to bump my life up a little. I am seriously considering this. I really want that lower rate, it will probably save me 100k or so over the life of the loan. I think everyone should be considering it. If I had loans I’d have already done this with one of these two companies. Refinancing is pretty close to a no-brainer for the vast majority of med school graduates from the last 5-10 years. 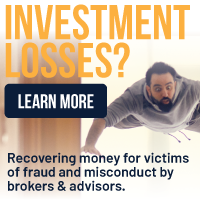 I wouldn’t count on it, but if they’re not going to let them disappear at your death like federal student loans, they can’t expect to get the special bankruptcy protection. That’s why they have relatively strict underwriting criteria. Hi Brian, Elizabeth from SoFi here. As long as your wife is not a co-signer on your loan, your student loans would be forgiven if you passed away. Feel free to reach out to our customer service team directly with any questions like this: 855-456-7634. According to DRB, they can refinance loans in all 50 states. SoFi can do it in 40 states and is planning to expand. 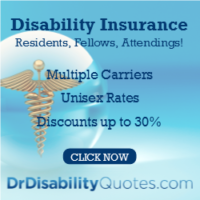 WHI, any recs for a good provider for disability insurance? Want to purchase befor graduating residency soon! I recommend an independent agent who can sell you a policy from any company. You’ll notice two who advertise on this blog if you glance at the banner ads in the left column. I’d trust either if I were in the market for disability insurance. Regarding the variable rate, there is no cap to how much it can go up from year to year (with an overall max of 18 percent). Is there any way I can see how historically the variable rate has changed? Could I potentially be paying 10 percent come next year? As you can see we are at historic lows, and we have been that way for a while. In addition, there are times when LIBOR makes big jumps over a one year period, so your question is a valid one. My advice is, if you are considering the variable, don’t try and predict when rates will move, and by how much, think about what it would mean for you if they do move-will you be able to handle higher monthly payments (ie. do you expect your salary to increase over time) and/or might you be in a position to prepay a portion or the whole loan if rates go up? If the answer is yes to these questions the variable could be a good choice and good way to save money. If not, it may not be worth the risk. Another thing to consider is splitting your loan into part fixed and part floating to mitigate some of the interest rate risk of all floating. How does refinancing affect your credit score (if at all)? 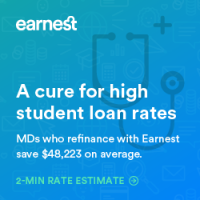 Once you do so with DRB or SoFi, is the loan still considered “good debt” (or at least “could be worse debt” as I like to think of it) like student loans or a mortgage, or does it become a private consumer loan? Brian’s comment above re: leaving DRB loan debt to your spouse if you die makes me think the loan could lose all benefits of being a student loan (including how it is viewed by potential creditors). Other than losing IBR and PSLF benefits, this would be the one remaining thing keeping me from refinancing. 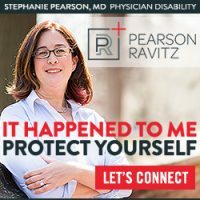 As an aside, I just started a 6 year urology residency and as far as I can tell I won’t be eligible to refinance until after I get out- is this true? No, it is still a student loan. But I’m not sure why you think that somehow helps your credit score. “Type of credit” only makes up 10% of your score. Pay your bills on time and your credit score will be adequate to do anything you need it for. You don’t want to refinance as a resident, because you probably need the lower IBR payments. Thanks for the clarification, that is helpful. By using credit score, I was meaning to get more at how my debt is viewed overall, rather than the actual raw score. My wife and I recently took out a mortgage on our first house. When I was initially shopping around, one of the first banks I spoke with quoted me at around 4%. After they realized my debt was all student loans, the quote dropped to somewhere in the high 2’s. Needless to say, I didn’t move forward with this lender, but I do believe the type of debt you carry matters more than the 10% that merely goes into calculating a credit score. There’s a human element to it, too. Thanks for writing this blog. I find it extremely valuable and feel fortunate I was able to come across it early on. I’m looking forward to keeping up over the coming years. Thank you for sharing your experience. Why not call SOFI and ask why you didn’t qualify for the better rate? Also, I wouldn’t be surprised to see the ball dropped. As the word gets out about these companies refinancing student loans, I expect them to see pretty rapid growth that may even overwhelm their relatively small staff. Since it is worth so much money to you to get a refinance, I’d bug them enough that they can’t ignore you. They may tell you they’re not willing to refinance you for some reason, but “the cold shoulder” shouldn’t be an option. I was informed by DRB that they have contacted the above commenter and “worked out this issue.” Due to privacy issues, they didn’t feel comfortable mentioning that here and it wouldn’t be appropriate for them to share the details with me or on the internet. Kevin may share the details about how it was worked out if he feels so inclined. SoFi considers a variety of factors when making lending decisions about your student loan refinance application. Decisions are based on your personal circumstances at the time of application and include, but are not limited to: Credit, income, work experience as well as debt burden capacity analysis. I had a similar experience as the previous poster. Submitted an application over a month ago to DRB. Several emails and phone calls later, haven’t heard a word. When I call their number, I get a secretary that transfers me to voicemail. Can’t get in touch with anyone that can talk to me about my application. I know they follow this thread, so hopefully they will contact you soon. If they ask me for your contact information, would you like me to pass it along? Definitely pass it along. I’d like to do business with them so I’m hoping I hear from them relatively soon. He just emailed me so I’ll send your info to him. That was fast, no? I guess they’re pretty backed up. Thanks for the help WCI. They did get back to me and yes, that was quick! I’m looking forward to working with them. Thanks again. Jake-I apologize for the experience you had with DRB and hope we can rectify the situation quickly. 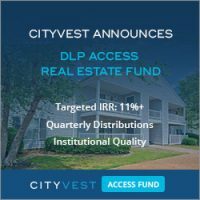 As was mentioned previously, DRB has seen a strong response to this refi loan, and our staff has been bit a stretched. We will certainly be in touch quickly to resolve your issue. In addition, please note we are adding more staff to the team to make sure nothing like this happens again. We are very excited about working with and investing in White Coat Investor members as well as other health professionals, and will ensure that our service matches up to the service levels you deserve. Thank you for the response, looking forward to working with you. I just withdrew my application from DRB. Two months since my application and no progress. I emailed them again a week ago and nobody responded. You call their office # and get redirected to someone’s voicemail. Very poor customer service, I’d recommend avoiding DRB. I sent an application in to SoFi, and had someone calling me within 24 hours. SoFi’s rates look pretty comparable to DRB too. I probably would have gone with them originally but they were restricting their applications to graduates of schools to which they had alumni support. They have recently opened it up to include most schools (maybe all in the US, not sure). Anyway, they seem like a much better lender to do business with – just FYI. 1. DRB is an FDIC insured bank in Connecticut. Please feel free to look us up on the below FDIC website. Just type in our name in the “Institution Name” section. This should provide you comfort that we are an established and regulated institution. 2. As I mentioned in an above post, when we first launched this program for doctors, the response was overwhelming, and we were not able to provide the service and response time that our borrowers deserve. Since then, we have improved our processes significantly and hired a larger team to ensure all of our applicants receive the highest level of service. I will not comment on the specifics of the post above, but I will say that this type of experience is atypical for our borrowers. Right now, we respond to all email questions within 1 business day and have many more people available to answer and return calls during business hours. 3. We have already save hundreds of borrowers thousands of dollars each on their student loans and continue to do so every day. Our rates are by far the lowest in the country and lower than the competitors referred to on this site. For those of you who want the lowest rates in the market, I would suggest you apply to DRB, as we currently offer the best rates and are improving our service every day. 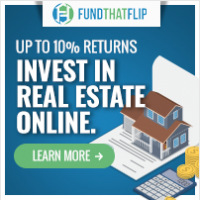 I just finished my refi w/DRB – they seemed reasonably responsive albeit the whole process took a while. I ended w/a 2.99 variable. I’ll certainly be watching my credit and loan closely to make sure nothing suspicious goes on. DRB is an FDIC insured bank in Connecticut. Please feel free to look us up on the below FDIC website. I have to say i am losing interest in DRB. I applied around Thanksgiving and never heard anything. I called them a few weeks ago and was told I passed underwriting and I should hear from them soon. Still nothing. Then today I read on Yelp that you can’t link your outside bank account through the DRB website and that you have to use BillPay from your outside account to make electronic payments to receive the .25% discount. I will not comment on the specific situation of the person in the above posting, but only reiterate that we have made tremendous progress on our service levels and responses times since Thanksgiving/December, so please be assured that if you are a current applicant or if you apply in the future, you will receive fast and reliable service (as well as some of the lowest rates in the country). 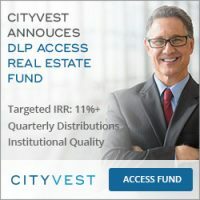 Regarding making automated/electronic payments, all borrowers are able to make automated payments, including both standard monthly payments and any prepayments, either through their current bank account, which can be linked to a DRB account, or through any BillPay system, whichever they prefer. All payments are received into a DRB bank account and then withdrawn/credited automatically against their loan. For those who have specific questions on the details of this process, please do not hesitate to call/email the bank. AA’s statement about electronic payments is blatantly false. After 3 months of phone calls, long wait times, and never returned emails, I finally got all my paperwork and the loan approved. And now I was now told that in order to get the auto pay discount (0.25%) I have to open a DRB checking account to make the payment. I can’t use my regular (Wells Fargo) checking account. I like where he says if you have questions to call/email the back. Has he tried doing this!! You’ll never get a live person and in the off chance that you do they will transfer you to a number that goes to voicemail. DRB makes the post office seem efficient. A DRB checking account is opened automatically as part of the loan closing process (the checking account has no fees and no minimum balance). The DRB account acts as the borrower’s repository for all payments (both monthly and prepayments), and this account can be linked to another bank, certainly a Wells Fargo account, so that payments can be made electronically from that account. This process requires no additional application/work for the borrower and allows for automated payments from a checking account or an electronic bill payment system. DRB currently has many borrowers using this automated process without any issues. I implore you to please call/email the bank again if you have questions on this (203-309-3940 or [email protected]), and I am sure they will resolve your issues (faster than the post office would). No, you don’t want to refinance subsidized loans currently being subsidized. Consider yourself lucky to have them. Nobody is getting them any more.